Happy Weekend!! Today is a very special day because we celebrating the release of a very special stamp set at Cardz TV Stamps! Thanks for hopping all the way through because there is BLOG CANDY! 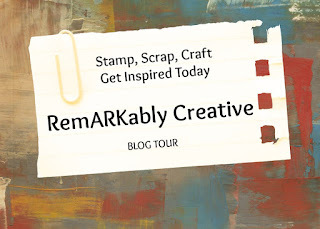 Entire Blog Hop List at bottom of this post. Card Box @ 4" x 4", which fits cards that are 3 7/8" x 3 7/8"
Card Stock and Pattern Paper from SU! Thanks for hopping all the way through, guys! We really appreciate all your kind comments and FOLLOWing us! Here's a list of everyone in the hop in case you want to go back and take a longer look at some of the projects you found that you fell in love with! 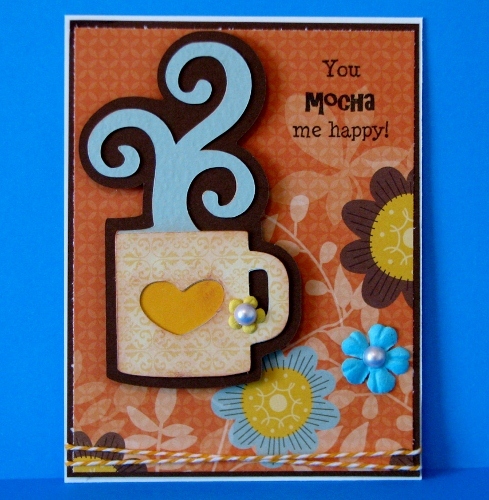 I am entering this card to the Make It Monday Challenge, where the theme is Anything Goes. Very elegant box and card set. 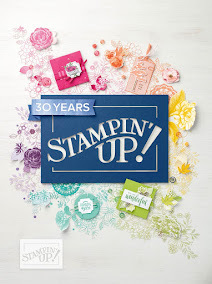 The new stamp set is great...I have to have it! I love your cards and box, they are very elegant. I just love the clean fresh look of the cards and box. Thanks for sharing with us all. Your carda and box are so cute Candice! Very elegant yet simple and clean. Thank you so much for sharing! Such pretty cards! And a beautiful box for them to go in. Sweet card set Like the soft colors. Great note cards and holder! Love the we stamps...thanks for sharing!!! Love your little gift box / card set !! Love love love the calming colors !!! What a cute card set. I love the colors you used. Beautiful, simply sweet and clean and simple love those colors. How stinkin' cute is this!!! I love it!!! What a fun little gift set to give someone!! TFS!!! Candice your beautiful cards are perfect for so many things especially thank you notes. Awesome! Definitely a sweet note set...I love your paper and color choices it all works perk-fectly!! The colors are so soft I really love this gift set. I have not used SU paper or products yet now it is on my to do list!!! Super cute note cards and box. TFS. Love this card set! Looks like a Tiffany box..love the colors! Thanks for sharing. What a cute card set! Looks like a Tiffany box...love the colors. Thanks for sharing. Love your cards and box. The colors are fabulous! Very pretty, you did a wonderful job. Just a dainty, pretty card/box set. Love it. Great job. What a wonderful idea! Who would not love to receive those! I love your card set! I'm going to have to make up a couple of sets myself for quick gifts! Thanks for the inspiration! I love your cards! So cute and elegant looking with the monochromatic feel. I love this new stamp set :) Super cute! Thanks for sharing! Very cute, love the different sized cards. Would make such a nice gift and great colors. Super cute idea for all of my girlfriends! Thank you for the great inspiration! Gorgeous!! Love the blue.. And what an AWESOMe gift this would be!!! Its really fantastic! Fabulous project! Amazing! Thank you so much for joining us at MIM this week! Good luck! Great color and super cute! Oh my goodness you box and card are so cute! Love the SU papers and love the stamp set. What a great gift this would make for someone. Perfect for a gift. Love the colors , simple and elegant. Oh WOW! This is such pretty set! What a great color - elegant, simple and clean! What a cute box and cards. Thank you for sharing these with all of us. That would make a cute gift. I love your project! It's really pretty! I love this set of cards and box! So pretty! Great job! Adorable cards and I just love the pale blue papers and little box you made to put the cards in. It's just a really sweet little set. How beautiful your card set is!! What a fantastic gift idea. Absolutely love the card set. This is a really nice boxed set!! I just love the color! Thanks for sharing it with us! Just love the card sets! Love card set. I love this color of blue so I was immediately drawn to it. Thanks so much for the giveaway. Really like your card set. Thanks for sharing with us and also for the chance to win your blog candy. Love this card set. You did an awesome job. What a beautiful card set! Love the colors. OMGoodness, how cute! I LOVE the idea of making a set of matching cards but having a variety of sayings on the front, and the clean and simple style you used makes it so easy to mass produce! And the box to store the cards in is so pretty and creative! This card set and matching box would be perfect to either always make sure you have a card on hand whenever you need it, OR it would make the PERFECT gift! TFS! oh great colors! love it! Very Cute set of cards. Such a sweet card set. Love the Brew Ha Ha stamp set. Great job! I really am enjoying all of the idea's! Candice, what a great idea making the box to hold those beautiful cards! Thanks for sharing. Like the phrases. My brew is Tea as in Luzianne Decaf. You can enter your card at Speedy TV Simple Salutations which I host every Wed and membership for Speedy TV is free. Please let them know I sent you & enter also. I love the colors you used. So pretty! I just love, love, love your idea! This is a great way to share your craft and give a gift at the same time! Great job with the stamp set love that too! so pretty Candice!! I just love the soft colors - this is a beautiful collection! I love all of the great idea's you can do with all of the stamps. Love it all!!! This is such a great gift set Candice. Love the colors. Very cute card set! I love the pretty color you chose too! I just love these. This card set would be a perfect gift for the ladies at work. Thanks for sharing. very cute! Love the box and this sentiment! I LOVE this card set. Its simple and elegant. Its perfect. Love the cards and box. Thanks for a chance to win some wonderful stamp sets too.